The worldwide leader in digital entertainment products for PC users, Creative Technology has officially announced the launch of its new Creative ZEN X-Fi and ZEN X-Fi with Wireless LAN digital media players, featuring award-winning Xtreme Fidelity X-Fi audio technology. 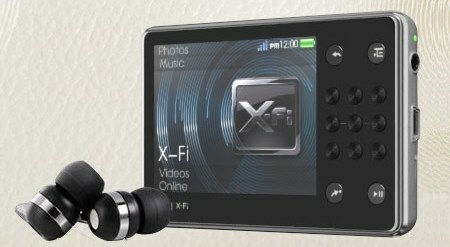 With X-Fi Crystalizer audio technology, these stylish and cool portable media players can provide a breakthrough in sound quality for MP3, WMA and unprotected iTunes music. The new pocket-sized Creative ZEN X-Fi with Wireless LAN 16GB and 32GB model are now available in Singapore for S$329 and S$399, respectively. Besides, the new Creative ZEN X-Fi is expected to be available later this month for S$229.